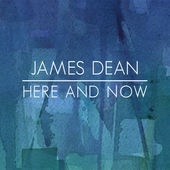 James Dean is a guitarist whose playing cuts across many styles including blues, pop, rock, country and jazz. Predominantly a sideman for various projects, James has recently recorded with Arcelia (on their album Wrap Your Bones), and performed with a line up of prominent UK jazz musicians at the recent Pathway Records Festival, which included a performance with saxophonist and composer Paul Booth (Paul Booth’s Patchwork Project) as well as a performance of James’ latest release Here and Now. James has performed in various venues across the UK and is a music lecturer at Canterbury Christ Church University in the School of Music and Performing Arts. Focusing on the jazz influences in James playing, Here and Now is his debut jazz inspired release for Pathway Records and features James on electric and acoustic guitars. It showcases original music and a first-class line up of UK jazz musicians including Paul Booth (saxophone), Steve Hamilton (piano), Dave Whitford (double bass) and Andrew Bain (drums). Vocalist Simon Foster is also featured on one track.